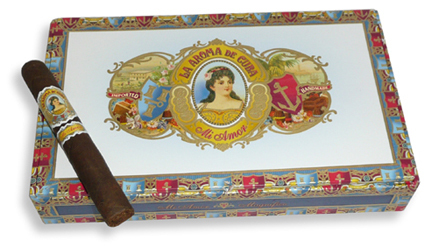 La Aroma de Cuba Mi Amor is yet another great cigar handcrafted in Jose "Pepin" Garcia's factory in Nicaragua for Ashton. Unlike its La Aroma de Cuba predecessors, however, the Mi Amor is wrapped in a dark, toothy, Cuban-seed Mexican wrapper. The combination of this special wrapper with Nicaraguan binder and long-filler produces an excellent, medium-bodied smoking experience full of intense, rich flavors of coffee and spice. Box-pressed.